* If you prefer, you can see a .pdf version here (1.45 Mb). Greetings from Japan! 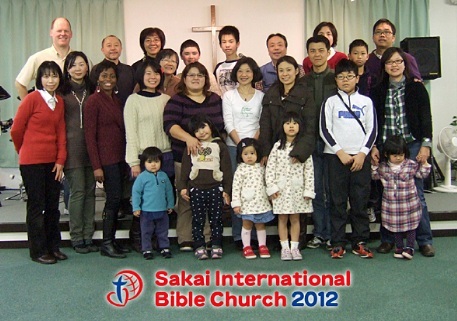 Although it is only March, it appears that 2012 is going to be a year of exciting changes and new adventures at Sakai International Bible Church. Here is an update on the ministry at SIBC. In recent newsletters we have mentioned the ongoing financial struggles facing the church. In order to discuss the worsening condition, we held a congregational meeting in early January. The church family eagerly agreed that we needed to seek the Lord's heart for how He wanted us to respond to this situation. The big question was "Does God want us to stay in our current building and try to improve our financial situation?" or "Is this the Lord's way of leading us to leave our current location and seek a new (cheaper) meeting place?" After a week of focused prayer, we gathered again as a church family to share what we heard from the Lord. The general sense was that God was leading us to move out of our current building. 1) Rent a commercial space on a monthly basis (this is what we are currently doing). 2) Rent a commercial space only on Sunday (at a hotel, live house, civic hall, etc…). 3) Rent a house to be used as a worship location and church office (this would be much cheaper than renting a commercial space). 4) Use another churches' facility for a Saturday evening or Sunday evening service. 5) Gather in a church member's home. Some of these options are more appealing that others and they all have both advantages and disadvantages. However, the important question for us is this: "What is the Lord's heart for SIBC? Where does HE want us to meet?" To this end we ask that you PLEASE PRAY for the SIBC building situation. May the Lord clearly lead us in the direction He wants us to go, and may He provide the exact place we need at the exact price that we can afford. While we are anticipating a move of the church facility in the near future, this is not the only change on SIBC's horizon. Besides changing WHERE we gather together, the Lord is also causing us to re-think HOW we gather together on Sunday mornings. 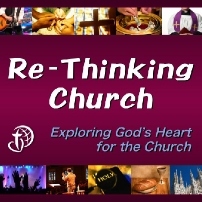 Since last Fall, Michael has been preaching a message series called "Re-Thinking Church: Exploring God's Heart For the Church." As a result of our study together, we are wondering if the Lord might be leading us away from having our worship service in the familiar "event" format, where a small number of people lead the service from the front while the rest of the body receives the ministry of others. Instead, is it possible to have a worship gathering that is more interactive and participatory? Is there a way to allow everyone to use their gifts and minister to one another during the worship service? Is it possible to let Jesus be our teacher and allow the Holy Spirit to lead our time together? As a church family, we still do not have clear answers to these questions, but we sense that this is the direction that the Lord is leading us. PLEASE PRAY about HOW the Lord wants us to gather at SIBC. More than just having a nice worship service each week, we want to be the authentic Body of Christ. May Jesus be the One to build His church, and may He reveal who He wants us to be and how He wants us to gather together. Among the SIBC family, there is a growing excitement about what God is doing in the church. And yet, there is also a bit of anxiety. Change is never easy, especially when the future is unknown. Therefore, as we enter this new season in the life of the church, PLEASE ALSO PRAY that we would learn to trust in the Lord to be our Good Shepherd. May we have the courage to look to Jesus, listen to Jesus and follow Jesus wherever He may lead. In this way, we hope that the church will grow and become strong so that we can bear much fruit for the Kingdom of God in Japan. To this end, we would greatly appreciate your prayers. Our final prayer request is for the right timing of all these things. As a missionary family, we usually return to the States every two years for 8 weeks of home ministry. According to this schedule, we were planning to be in the States this summer (July & August) in order to visit with our supporting churches. However, we do not want to leave SIBC during a time of major transition, especially if the church is still in the process of moving to a new location. Therefore, we really need wisdom about whether not to return home in 2012. Although home ministry is a valuable and necessary time for us, we also need to consider the impact it will have on SIBC. Ideally, if the church could be completely moved into a new location by mid-May, that would allow us be able to return home in the summer as planned. PLEASE PRAY that the Lord would work out the timing of all these things. May He open a way for the church to move in the Spring, and then still allow us to make our scheduled visit to the States in the Summer. Well, that's all for now. We can't tell you enough how much we appreciate your prayers and support for God's work here in Sakai. Thank you very much.